Is the stress starting to show on your face and your skin is losing its radiant glow, luster and texture due to growing age, pollution and hectic life style. Is the dull skin making you feel less than your best in the midst of friends, work and relationships and there’s absolutely no time to head to the spa for a facial due to professional commitments . The professional facials are fantastic and decent to get back glowing skin typically seen as a sign of health and vitality. However the Professional image experts may advise that you can’t get the glow back without shelling out some big bucks at costly spas but you don’t need to heed by their advice as these facials are expensive affair and majority of metropolitan spas hardly uses pure and natural products . 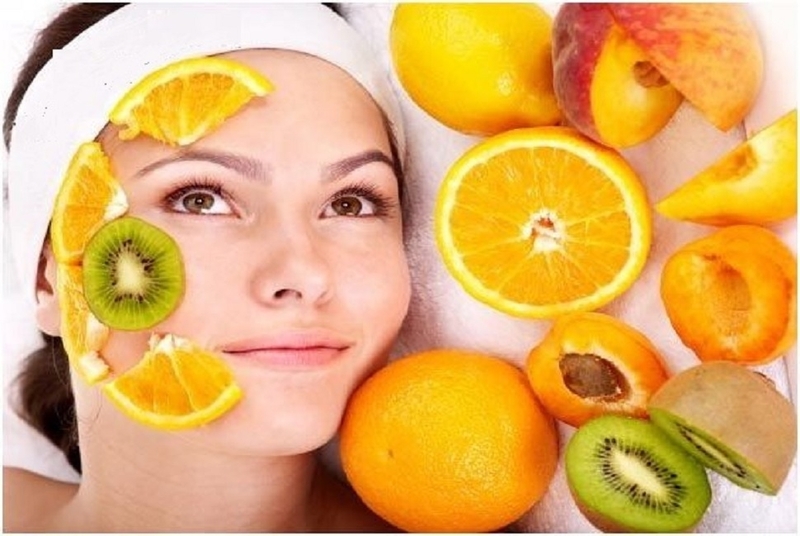 Facials are an essential key to healthy, glowing and rejuvenated skin but most of skin-care beauty products are packed with substances and synthetic ingredients which will go on to have negative long-term effects. Well not to worry, you can get smooth, bright radiant and fresh skin in the comfort of your home without spending any money by following simple facial tips which works on all skin types including oily, dry, and combination skin. It’s a good idea to keep one day in the week to give yourself a home facial. It helps to keep the skin in a good condition and also to counteract the effects of pollution and dirt, which are present in the air in most cities. It helps to refresh the skin and rejuvenate it after a week of stress, strain and fatigue. First take a head band or scarf, place it just above the forehead, along the hairline and tie it at the back just above the neck. This is to protect the hair. Start by cleansing the skin thoroughly. Choose the cleanser according to skin type - gel/cream cleanser for normal to dry skin; cleansing milk or lotion for normal to oily and combination skins. Apply it on the face. Take cotton wool pads, wet them and squeeze out the water. Using these, wipe your skin with upwards and outwards strokes. On the forehead, use strokes from just above the bridge of the nose, going on either side towards the temples, following a gentle arc. Pay special attention to the corners of the nostrils and don’t forget the neck area. Wash face with plenty of water. While the face is still damp, apply a facial scrub for deep pore cleansing. This is particularly good for oily skins and blackheads. However, if you have spots, pimples, acne, rashes or any eruptions, avoid using a scrub. Facial scrubs are easily available nowadays. You can also use home ingredients, like almond meal, oats, or rice flour. Add a little rose water, or yogurt and apply on the skin. Rub the skin gently with it and wash the face with plain water. If you have a normal to dry skin, nourishing should come next. Apply the nourishing cream, wet your hands with water and massage the cream into the skin, using outwards and upwards strokes. Use extremely gentle strokes for the area around the eyes, using only your ring finger. The motion should be outwards and care should be taken to see that the skin is not pulled or stretched. For the neck, use strokes from the chin downwards. Continue the massage for three to four minutes and wipe your skin with damp cotton wool or a clean, moist face towel. Avoid applying cream if the skin is oily, but nourish the neck area. Next, apply a face mask. Mix together two teaspoons choker (wheat bran) one teaspoon each ground almonds, rose water, curd and honey into a paste. This is suitable for all skin types. Apply this on the face, leaving out lips and area around the eyes. Take two cotton wool pads and soak them in rosewater, for eye pads. While the mask dries, lie down, close your eyes and put the eye pads on the eyelids. Allow your body to relax. This kind of relaxation is a beauty treatment in itself. After 20 to 30 minutes, wash off the face mask with water. Next, soak cotton wool pads with chilled rosewater and wipe the skin with it. Stroke the skin too, with the rose water pads and pat your skin briskly with it. This helps to tone the skin, close the pores and add a healthy glow. Precaution while doing a facial. 1. Don’t wash your face that night. Your skin needs a chance to relax. Your facial will have left it quite clean, so there’s no need to wash your face before bedtime. 2. Do not apply makeup immediately after treating your skin to a facial. Give your skin moderate time to breathe. 3. Give facial every week using skin friendly organic products to improve your skin texture. The synthetic products may damage your skin. 4. Make advance preparations and keep all ingredients ready before starting your facial to complete all steps efficiently. 5. Keep your self tension free in quiet and calm atmosphere to achieve best results. 6. Stay out of the sun.